Sorry I haven't been posting any cards and things, but I have been extremely busy. I have been working (substituting) so this takes most of my days of playing (doing SU stuff). But besides that, I am getting ready to go to the Baltimore Regional and I am not only a SUDSOL Swap Hostess, I am going to do a Workshop Wow demo for Stampin' Up. So I am making swaps and getting ready for my 5 min. presentation. Then the day after the Regional, I am doing a craft fair that is in my small town called Fall Festival but that is where I sell a lot of my handmade cards and 3-d items and I still have things to make for that. And then on top of that, I will be doing the Royal Blog Tour and I have to come up with cards for that. I will be extremely busy and probably not able to post much if anything at all. But after that, I will have lots to post. $400 Shopping Spree Still Going On. The Shopping Spree is still on. Sherrill is waiting for more people to participate. You could win big. Click on the Title and it will take you to the post. 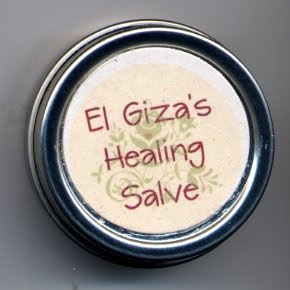 This is a salve I started making many years ago but stopped when I got married. I am now making it again after many requests from people who had bought it from me before. A time saving topical application packed in a pocket size container; this can go with you everywhere. Apply it liberally to the skin, and allow it to work their magic. 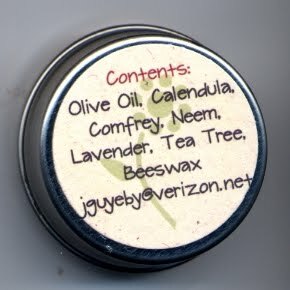 Made from organic or wildharvested material, in solar infused herbal oil and in a base of natural beeswax. No artificial ingredients, no synthetics, no petroleum products and certainly no perfumes. The best way to heal your skin is to avoid those nasties all together and stay with pure botanical ingredients. My friends and family use them routinely for minor skin damage, burns, bruises, sprains, rashes, and much more. An excellent compound for superficial burns, minor nerve damage, diaper rash, cracked hands and heels, inflammation, and other minor injuries. It is also popularly used for dry or tender skin. This salve can be applied to most skin types, including those with sensitivities. Traditionally used for its anti-bacterial and anti-fungal and anti-viral properties. This is an excellent wound healer for scratches, bites and sores which works by reducing the chance of infection. I had stopped making it for a while and my friends urged me to make it again mainly because they had run out. Believe me it works. As you know, some of you have been asking for tutorials for some of the cards and stuff I have done lately. Well I got a phone call today from Stampin' UP and I am going to be one of the demonstrators for the Workshop Wow for the Friday Baltimore Regionals. I am so excited but it is a little scary. You have five minutes to present your WOW. I can't say what it is right now so you will have to wait for what I did and instructions on my cards and stuff. Am I making any sense? I am so excited. I have a few friends that are Stampin' UP demos and are also Nascar fans. Well, yesterday I was at the Nationwide race in Richmond, VA and we get pit passes for that race because you can see both Nationwide and cup car drivers all in the same day and if you are lucky, you can get their autograph. I have gotten a lot throughout the years but I never really aimed for Nationwide drivers but I took a liking to a driver Justin Allgaier. Here is a pic of Justin just after qualifying for Nationwide in Richmond. Here is a pic of Justin's car as it is being rolled out to pit road after inspection. I had made up a Top Note pad of sorts to get autographs on and when I held it out for him to sign, he looked up and asked are you a stamper? And I said yes and he said Stampin' Up! and I said yes and I asked him how in the world would a Nascar driver at the age of 24 know about Stampin' UP. He told me he recognized the top note die and that his wife does Stampin Up. I asked if she was here and he pointed her out to me and I went and talked to her. She says she gets him to help her all the time when she has lots of items to do. Here name is Ashley Allgaier. She was so nice. So all you women out there, tell them this story. I mean, Nascar drivers are one of the busiest people I know. So now I have another reason to like Justin as a driver because he also helps his wife with Stampin' Up. That could be a big story for Stampin' UP. It would reach a whole set of new people. It also shows that by using SU products, you never know who you will meet. Here I am showing Ashely my Top Note Autograph book. Here she is telling me the story of how she get Justin to help her and about the last project they did for a Baby Shower and it used the top note die which is probably why he recognized it. My craft room is almost finished. All I have to do is empty out the remaining boxes and put them away. I am very excited to finally have everything at my fingertips. You have seen my scrapbox when it is open and how much it holds, plus it also has a desk. The other storage cubes come from oriental Trading. The CD Stamp holders come from Ikea. 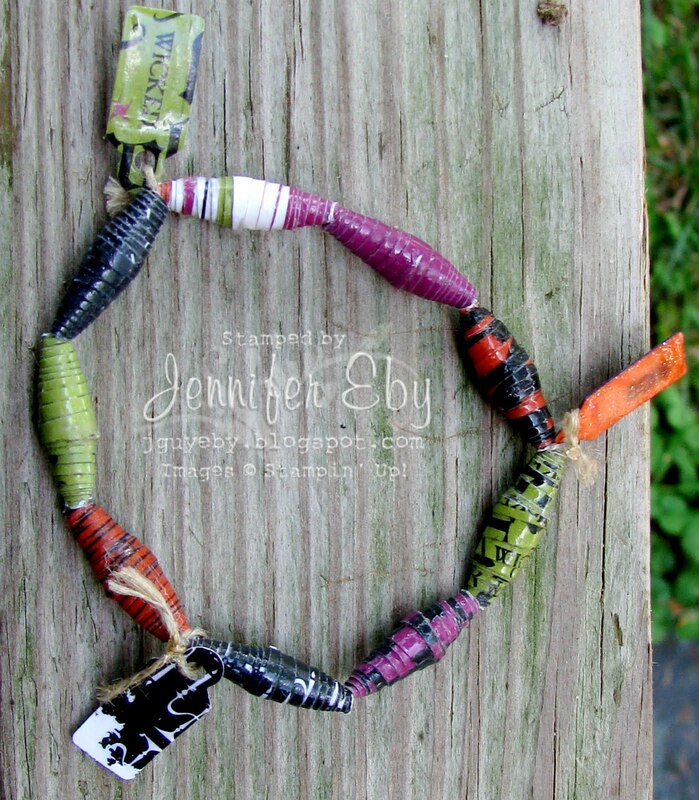 I have made a paper bead bracelet made from current SU Halloween DSP and made some little charms to go with it. I covered it with crystal effects and also made little charms to go with it. 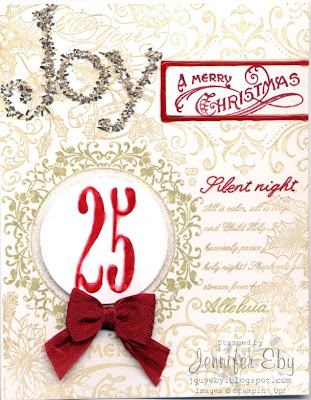 Late Night Stampers is a fabulous online stamping group I belong to. It is a yahoo group where members of the group post their latest samples, project ideas, or business tips. 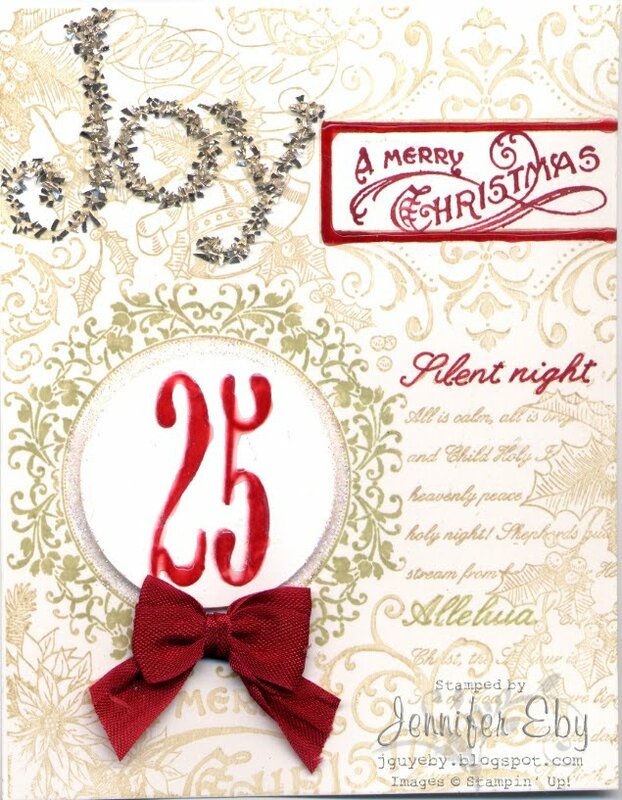 I usually get between 20 & 30 new emails a day with pictures of amazing stamped projects!! It really is a great way to get new ideas and the members are fantastic. They're so helpful when you have a question or problem and so quick!! My clue is: Paper Cutter on page 199 of the 2010-2011 Idea Book and Catalog. If you leave me a comment letting me know you entered Sherrill's Shopping Spree contest I will choose a winner and send that lucky person a FREE GIFT!!! Yeah, that's it, just leave me a comment on this post telling me you entered and you could win even more!!! WOO HOO!!! !Don't forget to leave me your email address so I can contact you if you win!! Sherrill will be picking a winner soon so start blog surfing for your clues now!! And as soon as Sherrill has chosen a winner then I will choose a winner!! More Clues can be found at these blogs. Go searching! You may have to search to the older posts because this has been going on for a while. I am so excited that I figured out how to make these. Here is a fall one I made last night, just from designer paper and my handmade flowers w/an antique brad. The Holiday Mini has gone LIVE! I remade my door card. It now looks like my front door from the inside. One of the cards you may notice very old (from at least two years ago) DSP paper. 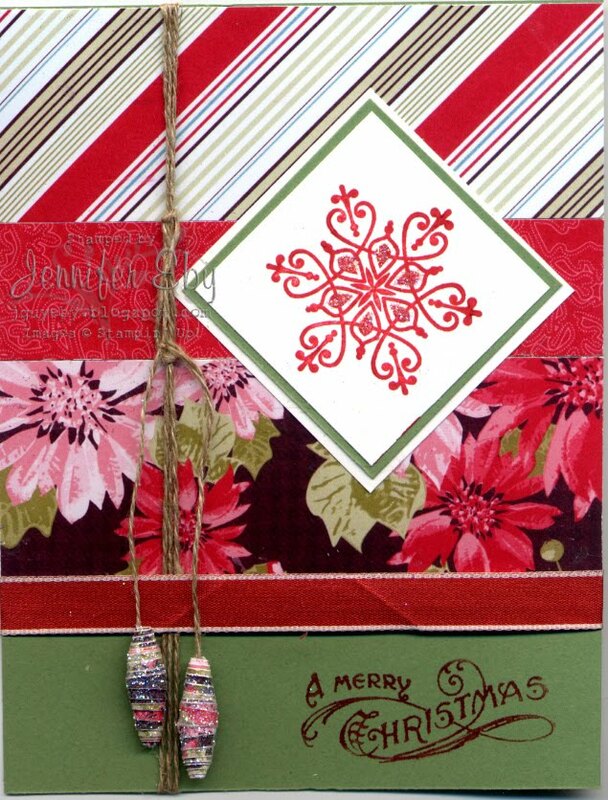 I am using this up to make cards to sell at the craft fair. But notice the paper beads I made from the DSP paper. Aren't they cute? You will see more of them on current stuff. 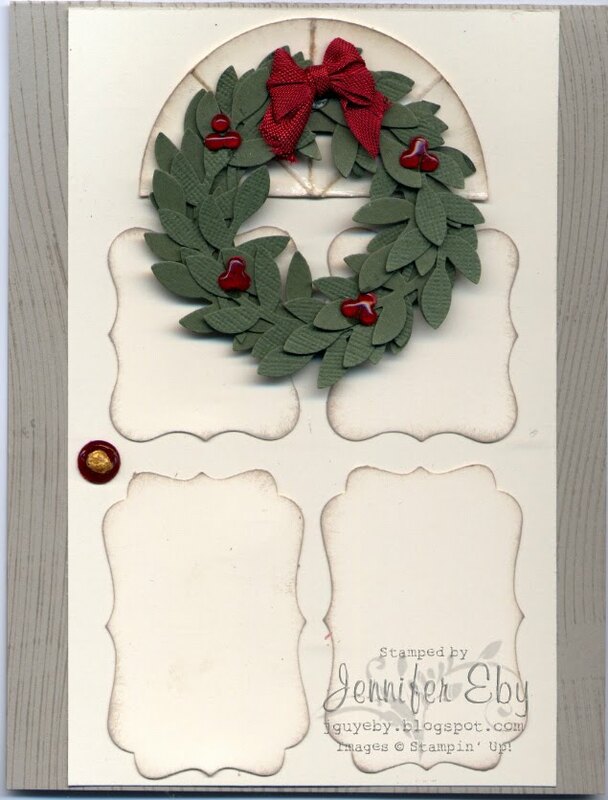 The last card is the Christmas Collage. 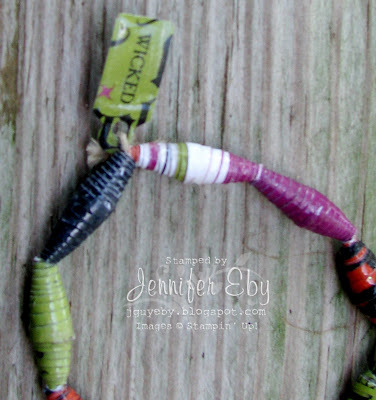 I may use them for a swap I am in but haven't decided yet. Jean contacted me last night was very excited to be the winner of the blog candy. It is on its way today. Everyone else, keep trying. Congrats to Jean Fitch. The lucky number was 14. She will win the Halloween set. Remember to keep writing your comments and leave your email with the comments to be considered for September's Blog Candy. I will also be giving away blog candy to one of my followers in the middle of September so if you are not a follower, join and you will have another chance to win. Happy Labor Weekend Everyone.